Buy your autographed copy NOW! The ice cream sandwich may be the perfect sweet treat: fun, friendly, easy to make, endlessly adaptable, and exceptionally delicious. 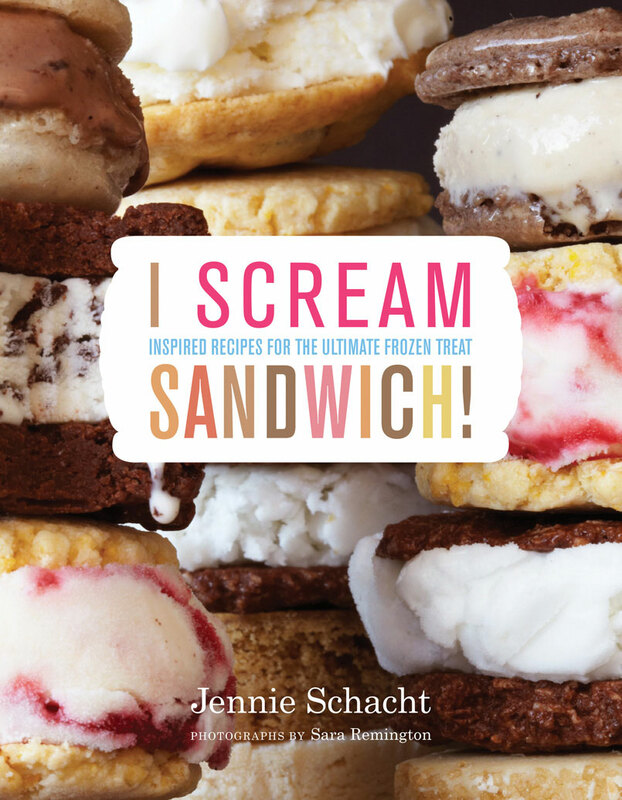 In i scream SANDWICH!, Jennie Schacht shares 40 unique and delectable sandwiches with soup-to-nuts recipes that include the ice creams and sorbets, cookies and other sandwich holders, mix-ins and decorations for rolling the sides, and helpful tips for forming the sandwiches. With easy instructions and tons of fun ideas, i scream SANDWICH! provides everything you need to create endless variations on these melty delights using cookies, brownies, bars, cakes, brioche, ice cream, frozen yogurt, and sorbets, including gluten- and dairy-free options. There’s even a handy table to help you come up with your own creative combinations. Pressed for time? You’ll find tips and shortcuts for substituting store-bought ingredients to whip up sandwiches in a flash. If you’ve been purchasing your ice cream sandwiches from an ice cream shop, truck, or grocery freezer shelves, you will love being able to easily make your favorite treats at home. 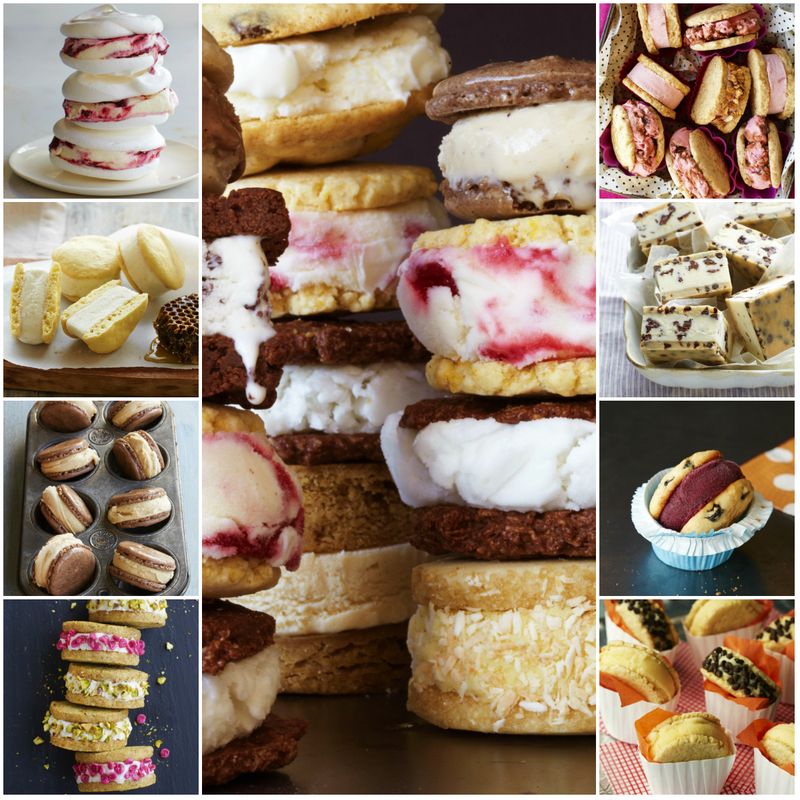 From nostalgic vanilla ice cream on chocolate cookie bars, to indulgent espresso caramel swirl on espresso fudge brownies, to exotic peanut butter ice cream with berry spread on buttered toast, this book leads you through everything you need to know to make or invent a whole world of ice cream sandwiches. There are plenty of gluten- and dairy-free options to fit every preference.